The final installment of St. Scholastica's 2017-18 Peace and Justice lecture series will take a look at the future of renewable energy in Duluth. The presentation is free and open to the public. 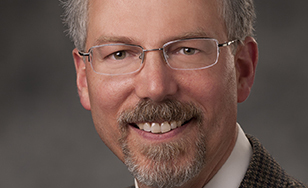 Dr. Eric Enberg will speak on "Preparing Duluth for the Coming Age of Carbon Pricing" at 7:30 p.m. Thursday, April 26 in the Mitchell Auditorium on campus. Enberg is a leader of the Two-Harbors-Duluth Citizens' Climate Lobby Chapter, which advocates for a national carbon-free-and-dividend policy, and the Duluth Energy Coalition, which is working to transition Duluth to a renewable energy future. He practices family medicine in West Duluth. The theme for this year's Alworth Center for Peace and Justice Lecture Series was "Sustainable Living."